Star Wars: The Last Jedi Review | Old and also new. "People often forget that everything that has ever worked about Star Wars is because of [George] Lucas, directly or indirectly." "The Last Jedi similarly finds its inspiration in the original trilogy, particularly The Empire Strikes Back and Return of the Jedi..."
I have talked before on this site about Disney’s poor judgement in dismissing the possibility of allowing George Lucas’ creative input in the new string of Star Wars films. It’s a sentiment that was recently publicly echoed by Mark Hamill himself. Disney’s decision undoubtedly had a lot to do with the critical reaction to Lucas’ Star Wars prequels. People often forget that everything that has ever worked about Star Wars is because of Lucas, directly or indirectly. I include the Disney Star Wars films in this position. 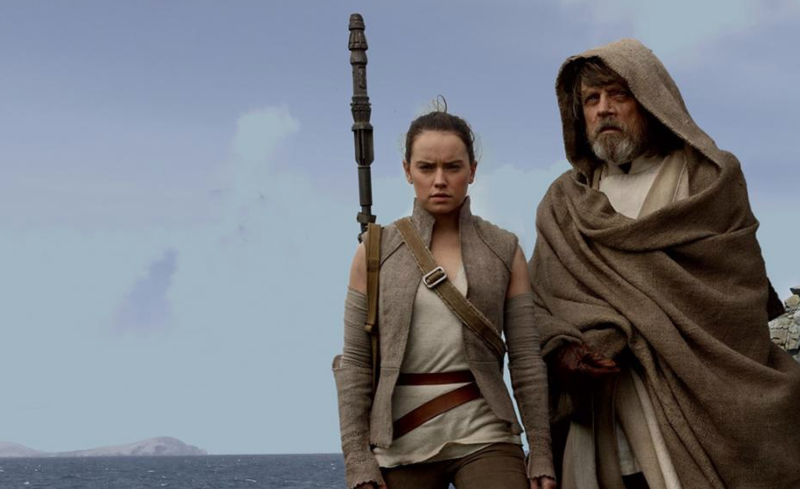 Everything of value in The Force Awakens or The Last Jedi is either an emulation or a manipulation of something that has passed through George Lucas’ mind. There are a lot of surprises in The Last Jedi, the most recent in the Star Wars saga. But those surprises are a result of moving things that have already worked within the franchise around, rather than pushing the possibilities of the franchise. Say what you like about Lucas’ prequels, and there is a lot to say, but those films took Star Wars in directions it had never been before. The Last Jedi is comprised of events that fundamentally recall Star Wars tradition, even when they recall them in interesting ways. Perhaps the filmmakers were given specific parameters within which they could budge, and have budged as much as those parameters allowed. Lucas never imposed restrictions on himself. He was a man of enormous and unbridled creativity, even when the proficiency of his writing and direction didn’t help realise that creativity. Neither The Empire Strikes Back nor Return of the Jedi were written by Lucas. Perhaps his principle mistake with his prequels was adopting those duties. 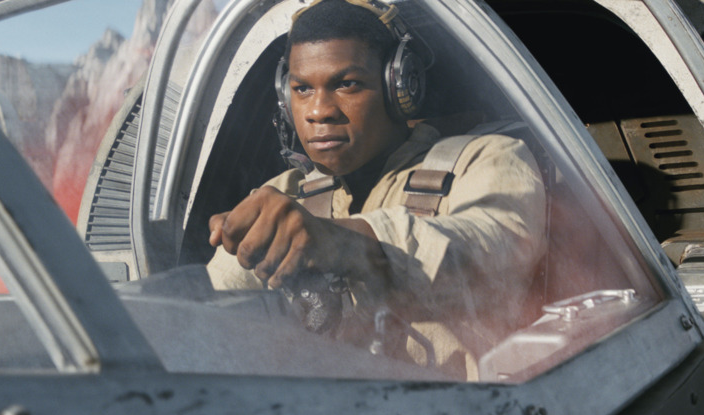 The Force Awakens, the narrative predecessor to The Last Jedi, behaved less like a film and more like a soulless record of the reasons why director J.J. Abrams has always loved Star Wars. But it’s not enough to know what works about Star Wars if a director can’t also know why those things work. Without any sense of creative bravado, The Force Awakens was met with justifiable criticism regarding its resemblance to A New Hope, the very first Star Wars film. The Last Jedi similarly finds its inspiration in the original trilogy, particularly The Empire Strikes Back and Return of the Jedi, but exploits that inspiration rather than translates it directly. Whether director Rian Johnson was navigating any producer-imposed restrictions or not, he has a more compelling approach to the stale framework within which he has worked than Abrams did. There’s a lot to admire about Johnson’s accomplishment, particularly regarding how he manoeuvres his narrative around our expectations, using those expectations against us. His film is both a recapitulation and an inverse of Empire and Jedi. It’s exciting to see the directions that Johnson takes these characters, an excitement that may wane on repeat viewings. As a collection of ideas, The Last Jedi is brimming with promise, but Johnson doesn’t realise each of these ideas to their full potential. The issue is that Disney’s Star Wars simply doesn’t have the audacity required to make films as wonderful as The Empire Strikes Back. The very reverence for Lucas’ films that permeates these new films is exactly what prevent them from accomplishing Lucas’ triumphs. It’s difficult to foresee a future of Star Wars without it being filled with everything that has come before. It doesn’t matter what direction you pull Kylo Ren or push Rey or who in the Rebellion dies when Disney’s business model means that there will always be the Light side and the Dark Side and a form of Rebellion, which is the creative equivalent of treading water. That’s something George Lucas never did. If it ain’t broke don’t fix it is an old adage, but progress and mastery doesn’t come from apathy, but innovation.